How to integrate MDBootstrap with Django? Topic: How to integrate MDBootstrap with Django? Since I've met MDBootstrap three years ago, I've tried to integrate it with a lot of technologies. Some of them were WordPress, Laravel, Hapi.js or even Apache PhoneGap. 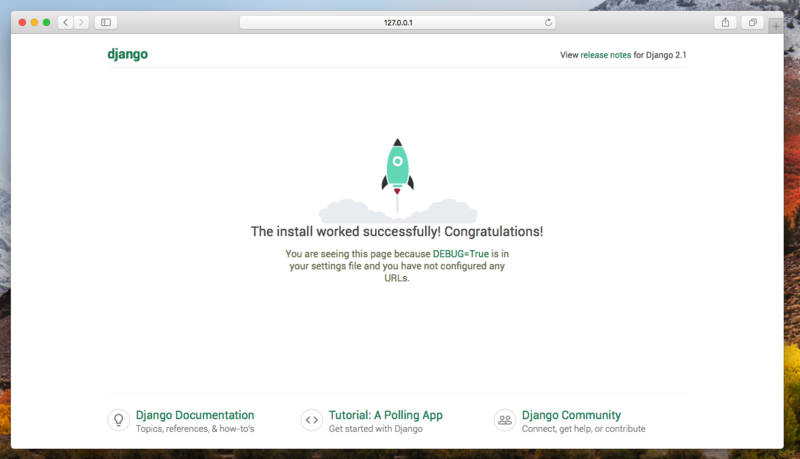 Recently, I was thinking about integrating MDB with one of my favorites - Django. Django is a framework built with Python. It allows creating advanced projects extremely fast. Django has a lot of cool features built-in. Thousands of developers also create their own plugins that make the Django-based projects even better. 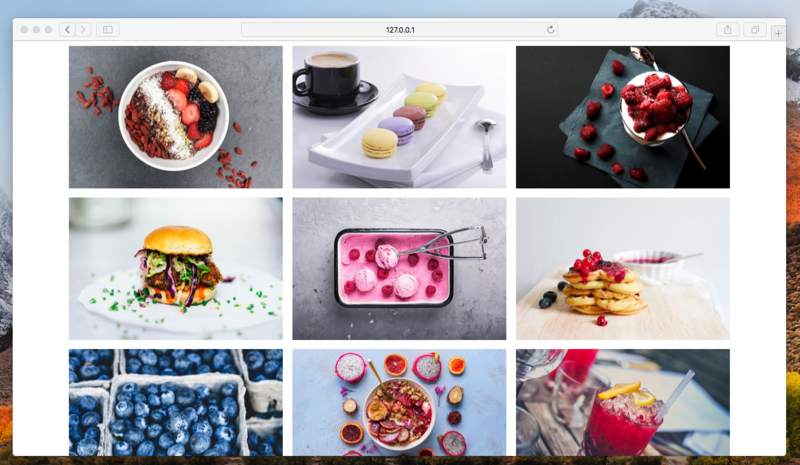 It can be used everywhere - as a simple blog, professional online store or - thanks to Django Rest Framework - this can also run your own API. For me, the result is "Python 3.7.0". If you don't have a Python 3 installed, you'll find a guide dedicated to your operating system here. Notice that your command prompt has changed - the (env) was added to the start of it. This means you've activated your environment properly and you can work with your project now. If you want to turn it off, just use the command `deactivate`. Performing system checks...<br /><br />System check identified no issues (0 silenced).<br /><br />You have 15 unapplied migration(s). Your project may not work properly until you apply the migrations for app(s): admin, auth, contenttypes, sessions.<br />Run 'python manage.py migrate' to apply them.<br /><br />December 19, 2018 - 09:20:52<br />Django version 2.1.4, using settings 'mysite.settings'<br />Starting development server at http://127.0.0.1:8000/<br />Quit the server with CONTROL-C. If your directory tree looks like this, go to mysite/settings.py and find the section named INSTALLED_APPS. At the end of this array add entry 'posts'. A few words of explanation: On the path, I used an empty string. It's because I want my index to be rendered on the root URL, but you can type anything you want there. As you can see, the template is working well, but it doesn't look like Material Design. Well, it doesn't even look like a website. 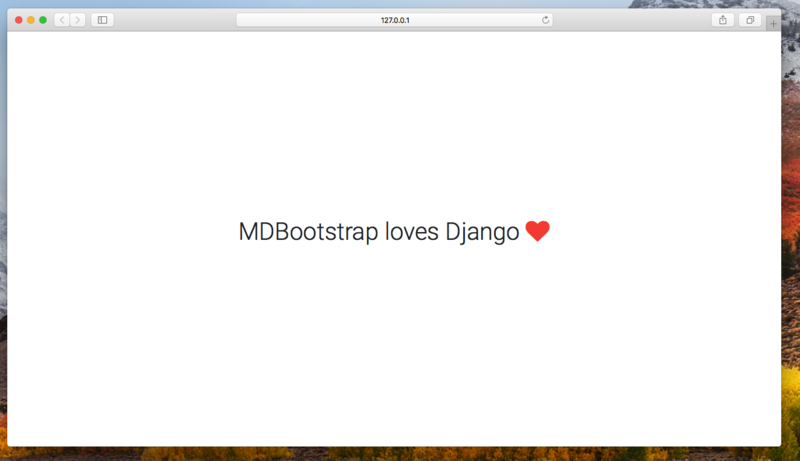 To make it beautiful, we'll add MDBootstrap to our project! We're almost done! After all this configuration we can finally add MDBootstrap to our project! The fastest way to do that is using CDN. Bootstrap, jQuery, and Popper use CDN and thanks to cdnjs, MDBootstrap also can be reached using CDN. It's so much better, right? Now save it and refresh your browser. As you can see everything is working well! If your site is looking like the screenshot above, you can be proud of yourself - you've just integrated MDB with the Django project! "inside your posts directory create a new one and name it static. Then, copy the content of the MDB package to the static directory"
How about the form? MDB contact form is created in PHP language. Can I use django instead ? My static file is in the same place as my template folder is. Hello, it is working. However I would like to receive the post from the contact form in Django admin. Do you know how to do it ? Can you show us how to integrate MDB react with Django Rest API. Of course, I can ;) Do you have any idea how would you like to use DRF with MDB?